Also popular is our less formal instruction provided by RYA Cruising Instructors who provide training in a fun and social environment whilst sailing on our flotilla holidays. All courses are run by English speaking, professionally qualified instructors. Our professional knowledge can help you choose the right Learn to Sail Course ! some interesting places and had an enjoyable holiday. have completed the start yachting course, this course can be completed in 3 or 4 days. equipment, man overboard, emergency equipment, meteorology, seasickness, helmsmanship, general duties, manners and customs, rules of the road, dinghies. This 5 day course can be taught to persons with previous sailing experience similar to that required for the RYA Day Skipper. Alternatively just the course assessment to gain certification can be provided without any instruction.  Pre-course experience – Yes, Theory and working knowledge of basic navigation, passage planing and Collision avoidance rules.  Assumed Knowledge – Ability to handle a small cruiser under sail and motor.  Minimum Duration – 5 Days for the practical course.OR 1 day for examination.  Ability After the course – Confidently skipper a small cruising yacht on day cruises with the ability to untake passage planing, navigation, course steer,ing handle sails, keep a lookout, carry out simple engine maintenance, Safety at Sea. etc. A course for aspiring skippers with some yachting experience and basic navigation and sailing skills. Learn to skipper a short passage with the instructor on hand to give advice and encouragement and ensure your safety. Experience being in charge, taking credit when it all goes well and being responsible when it doesn't. Before this course, if you are not sure that you sailing is up to speed, a good way to learn in on an RYA Level 2 dinghy course. This will teach you to sail around a course and control the boat's speed. If it's help with navigation that you need, you should take the Day Skipper Theory Course, which can be either residential in the UK or alternatively taken online. Should you decide to attempt the Day Skipper Practical Course without having taken the theory course, you will be required to demonstrate knowledge to this level during the course. victualling, emergency situations, yacht handling under power, yacht handling under sail, passage making, night cruising, tidal theory and, where possible, practical demonstration.  Ability after the course - Pilotage, boat handling, seamanship and navigation, Can skipper a small yacht in familiar waters by day. Advanced skippering techniques for yachtsmen and women with considerable knowledge of sailing and navigation, wanting to undertake coastal passages by day and night. Like the Day Skipper course, this course consists of skippered passages in a variety of situations. Each trainee will skipper more challenging passages and learn more about passage planning, pilotage by day and night, boat handling, safety and emergency situations. It is a satisfying but intensive week, with candidates often working towards a Certificate of Competence. You will be expected to complete the Coastal Skipper/Yachtmaster™ Offshore shorebased course beforehand as there is insufficient time to teach you theory during the week. Coastal Skippers should be able to undertake more difficult passages by day and night and handle the yacht in more demanding conditions. By the end of the course you should have the knowledge, if not the experience, to become a Yachtmaster™.  Ability after the course – Able to skipper a yacht on coastal passages by day and night. RYA training is provided by Seafarer Training Zaton. Extras: Instructor's food,. Private tuition charges apply to when clients charter a suitably equipped tuition yacht exclusively for their party and we provide an instructor on board for the duration of the course. Port taxes and mooring fees: £50 per person per week on Tuition yachts. 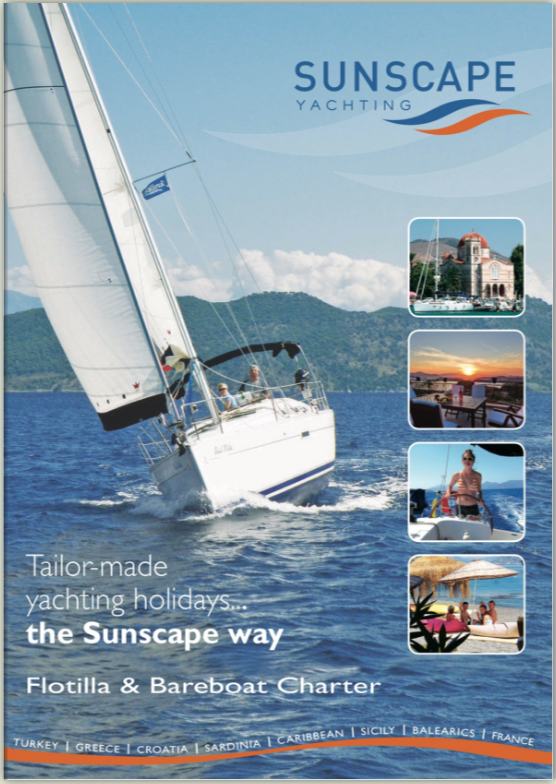 Mooring fees and tourist tax payable by clients directly on private tuition.